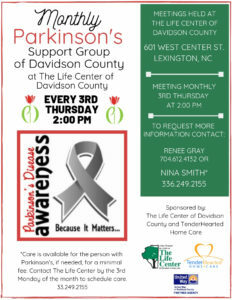 This is a monthly support group for folks dealing with Parkinson’s. 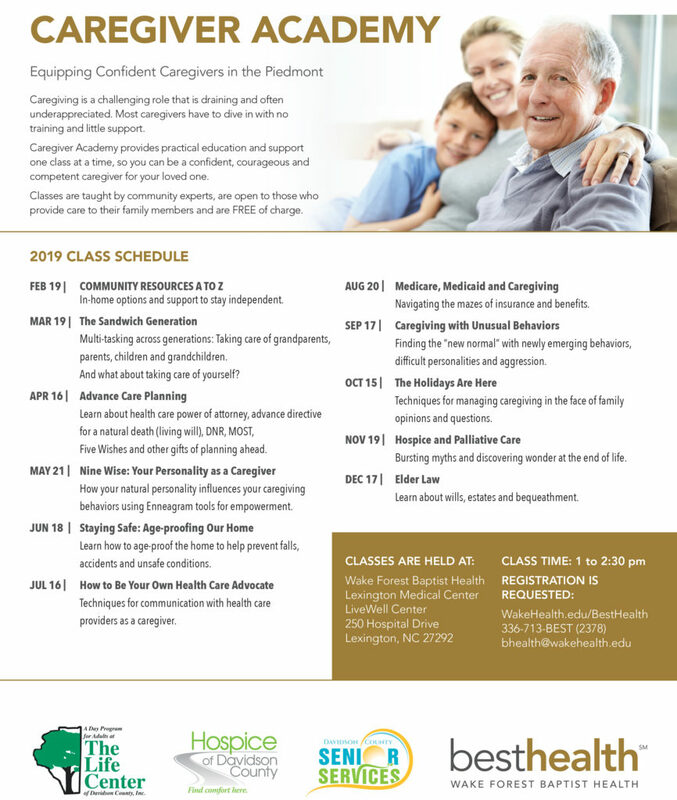 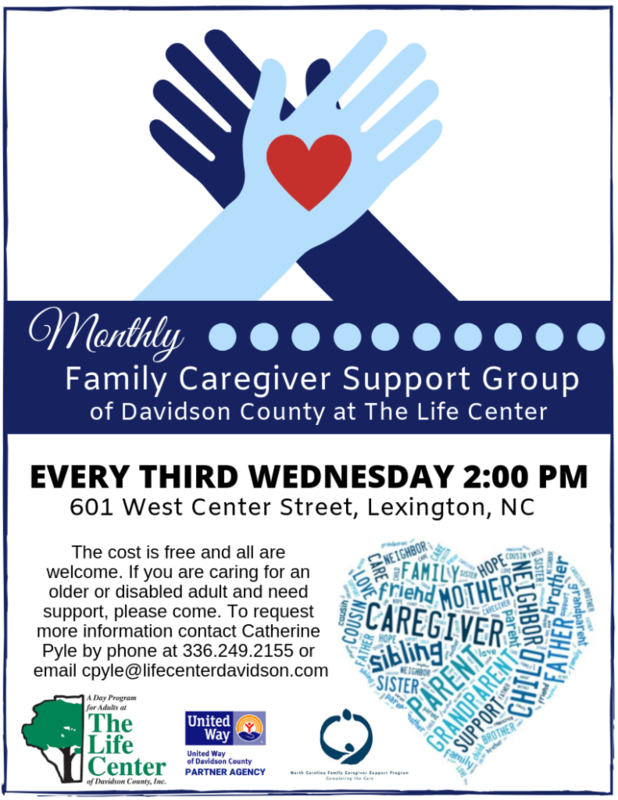 This is a FREE support group and is sponsored by The Life Center of Davidson County and TenderHearted Home Care. 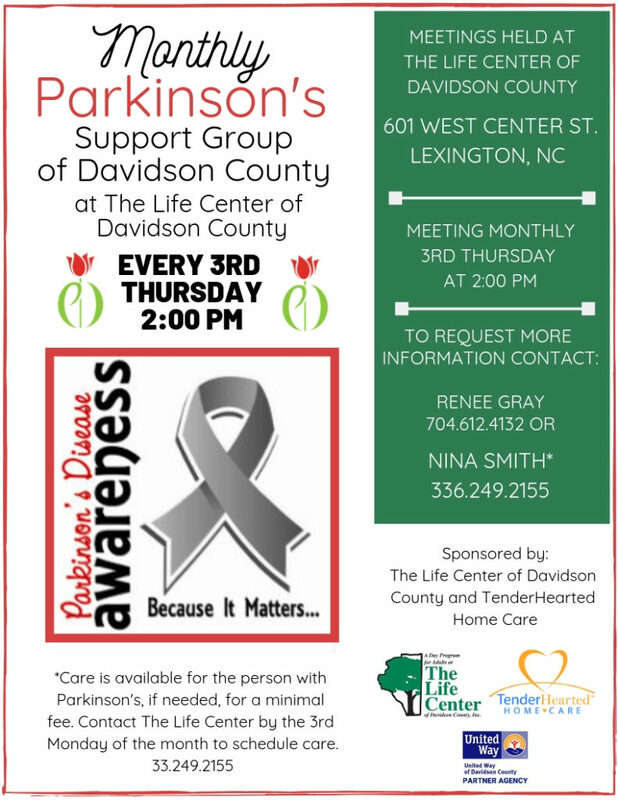 Care is available for the person with Parkinson’s, if needed, for a minimal fee. 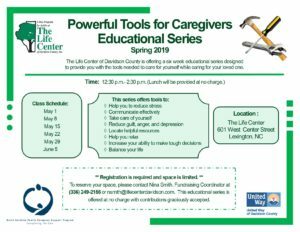 Contact The Life Center (336.249.2155) by the 3rd Monday of the month to schedule care.